What is the best way to get fit and stay fit? Our new book, Clinical Exercise Physiology 4th Edition shares key insights on how to develop a lifelong pattern of regular, safe and effective physical activity from the unique perspective of a Clinical Exercise Physiologist. If you’re a Fitness Instructor, Personal Trainer or anyone with the goal of becoming fitter (and staying that way), read on to learn more. So if we all know that exercise is good for us, why do so many of us struggle to make an impactful and long-lasting change to do more? In many cases getting active and staying active is easier said than done. Especially if we are already very sedentary or suffering from ill health. For individuals with these kinds of additional concerns, a Clinical Exercise Physiologist can provide expert guidance. But we can all learn from their approach to instilling good, habits that will serve us for a lifetime. Exercise physiologists analyse their patients’ fitness and work with them in order to help them improve their health or maintain good health. They help patients with heart disease and other chronic conditions, like diabetes or pulmonary (lung) disease, to regain their health over the long-term. However, most of the research evaluating this traditional approach to exercise prescription hasn’t been overly favourable in terms of its results with respect to long-term compliance and benefits. Why then, if ineffective, has the traditional direct information-sharing approach been used? Because its the easiest for the clinician, requires less time and is prescriptive! Thankfully, more recently, contemporary theories and models of human behaviour have been examined and developed for use in exercise counselling and interventions leading to better health outcomes. Yes. Practitioners like Wankel and colleagues (1) have successfully demonstrated the effectiveness of these cognitive behavioural techniques for enhancing physical activity promotion efforts. 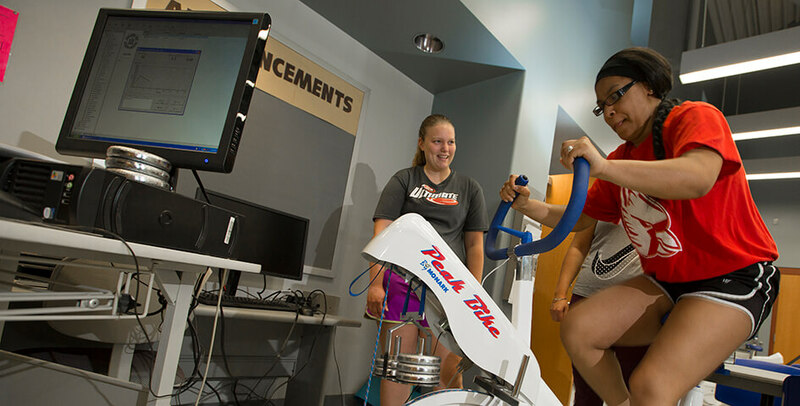 They did this by demonstrating that the use of increased social support and decisional strategies improved adherence to exercise classes among participants. In another pioneering study, McAuley and coworkers (2) emphasised strategies to increase self-efficacy and thereby increase physical activity levels among adult participants in a community-based physical activity promotion programme. So although there can be no guarantees on a case-by-case basis, the evidence is clear. The weight of literature on the subject suggests individuals who adopt a behaviour-based approach to physical activity generally experience greater success in getting fitter and staying fit. Exercise physiologists have always needed a deep understanding of the physiological basis for activity as well as the impact of pathology on human performance. Today, though, they also need to be to be experts in human behaviour in order to be a truly effective counsellor and instigator of lasting behavioural change. To assess and counsel individuals through their physical activity behaviour change Clinical Exercise Physiologists employ a number of behavioural strategies. But most of these strategies are intended to be used in the context of supportive social and physical environments. This is because social and contextual settings play a critical role in determining the successful outcome of health- and fitness-related levels of physical activity. So how can anyone begin to use cognitive behavioural techniques to improve their chances of getting fit and staying fit? Start by considering these three critical factors: the physical environment, social support and self-efficacy. An unsupportive environment is considered a barrier to regular physical activity participation. Therefore your first goal to achieve your aim of getting fit and staying fit should be to identify any environmental barriers. If these barriers are not altered, lasting change is unlikely to occur. It’s too cold, it’s too hot, it’s too dark etc. are all examples of environmental barriers. There are also barriers such as a lack of bicycle trails and walking paths – some people feel unsafe cycling on the road or walking on the street. Sedentary behaviours such as excessive television viewing or computer use may also deter persons from being physically active. Research shows that the older you get the less likely you are to be active, partly due to these kinds of environmental factors. Once you’ve identified the environmental barriers its time to develop steps on how to overcome them. In our first three examples, the solution may be as simple as a warm hat, a running singlet and a head torch. Social support from family and friends has consistently been shown to be associated with greater levels of physical activity participation. For Exercise Physiologists incorporating some mechanism of social support within exercise prescription is an important strategy for enhancing compliance with a physical activity plan. Look for family and friends that can be role models, provide encouragement or be companions during physical activity. Otherwise joining a club or activity group are both great options. Actively interacting with likeminded people on social networks can also provide motivation. Care must be taken, however, that the spending time online doesn’t become demotivating or a barrier to physical activity in itself! Having a good network of social support is tremendously advantageous but ultimately no-one can do the work for anyone else. That’s why self-efficacy is so important. Clinical Physiologists can encourage self-efficacy in their clients in a number of ways. This is especially important at the beginning of someone’s fitness journey when they may lack confidence in their own abilities. Physiologists know that two of the most common barriers to participation in physical activity are a lack of time and injury. They also know that people are more likely to adhere to a programme of low to moderate-intensity physical activities than one comprising high-intensity activities during the early phases of an exercise programme. Moderate activity also has the added benefit of being less likely to cause injury or undue discomfort. Therefore physiologists often seek to overcome these two common barriers by encouraging participants to include physical activity as part of their daily routines in the form of personal transportation (i.e. walking), occupational and household tasks. Within the past decade, physical activity has emerged as a key factor in the prevention and management of chronic conditions. Although the role of exercise in health promotion has been appreciated and applied for decades, recent findings regarding the mode, frequency, duration, and intensity of physical activity have modified exercise prescription practices. Included in these modifications has been the delineation between health and fitness outcomes relative to the physical activity prescription. Most importantly, new approaches to physical activity prescription and promotion that emphasise a behavioural approach with documented improvements in compliance have now become available to health professionals. Behavioural science has contributed greatly to the understanding of health behaviours such as physical activity. Behavioural theories and models of health behaviour have been reexamined in light of physical activity and exercise. Although more research is needed to further develop successful, well-defined applications that are easily adaptable for intervention purposes, behavioural principles and guidelines have evolved. Many are designed to help the health professional understand health behaviour change and guide people into lifelong patterns of increased physical activity and improved exercise compliance. We are now pushing new frontiers in the application of exercise prescription to specific populations, as well as efforts to define the specific dose (frequency, intensity, duration) of physical activity for specific health and fitness outcomes. We are also seeing an emergence of new platforms for launching physical activity interventions, such as smartphone applications and electronic medical records. Critically, as new information becomes available, it must be introduced to the participant via the most effective behavioural paradigms. Positive changes in the participants’ physical and social environments must occur to enhance compliance with exercise prescriptions. In turn, increased levels of physical activity among all people will improve health and function. Promoting physical activity through home-based strategies hold much promise. Through tailored mail and telephone interventions, significant levels of social support and reinforcements have been shown to enhance participants self-efficacy in complying with exercise prescription, thus significantly improving levels of physical activity. Next PostWhen should dancers start doing pointe work?